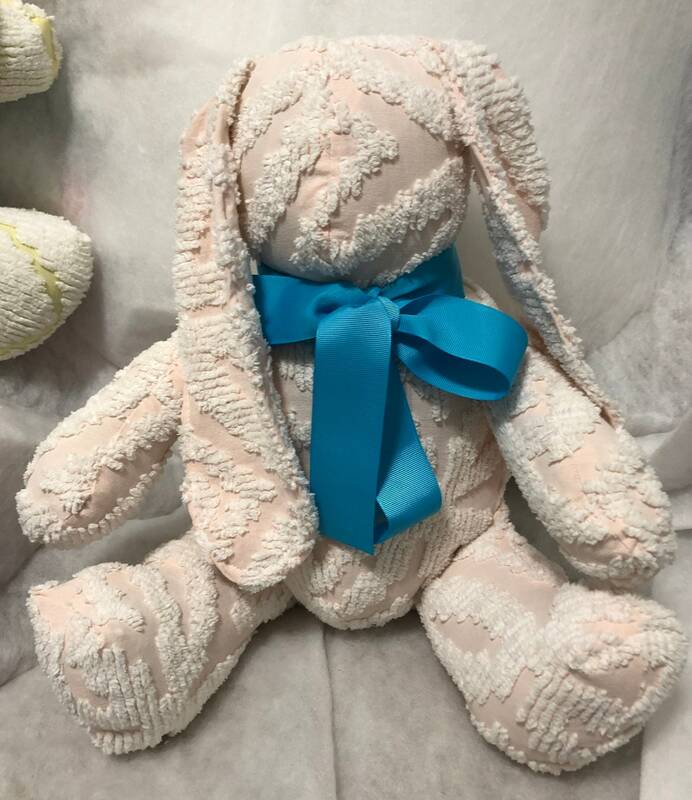 Who doesn't love a soft plush animal to cuddle? 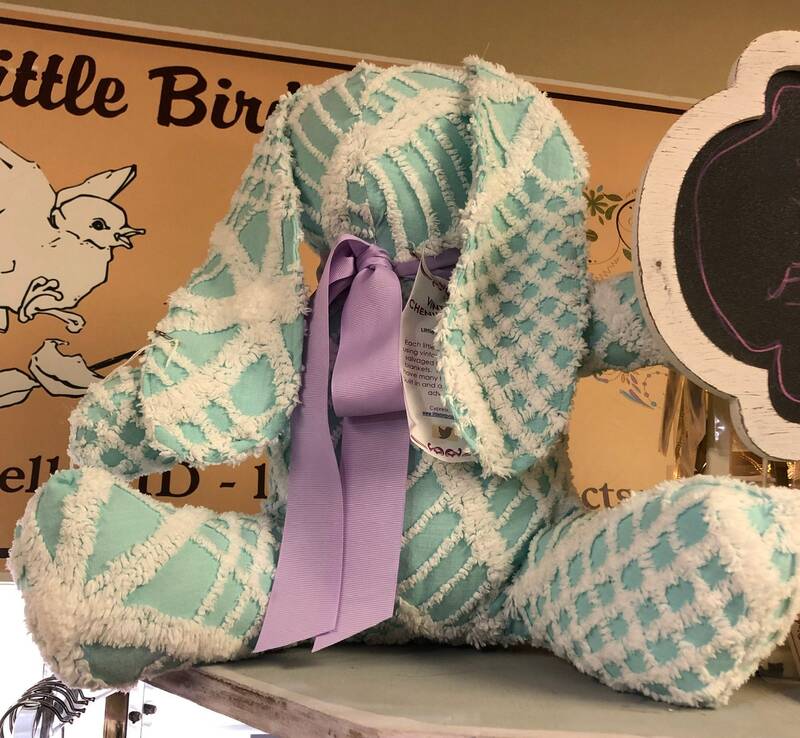 These cuddle bunnies are crafted from soft vintage chenille blankets that have served their useful life. 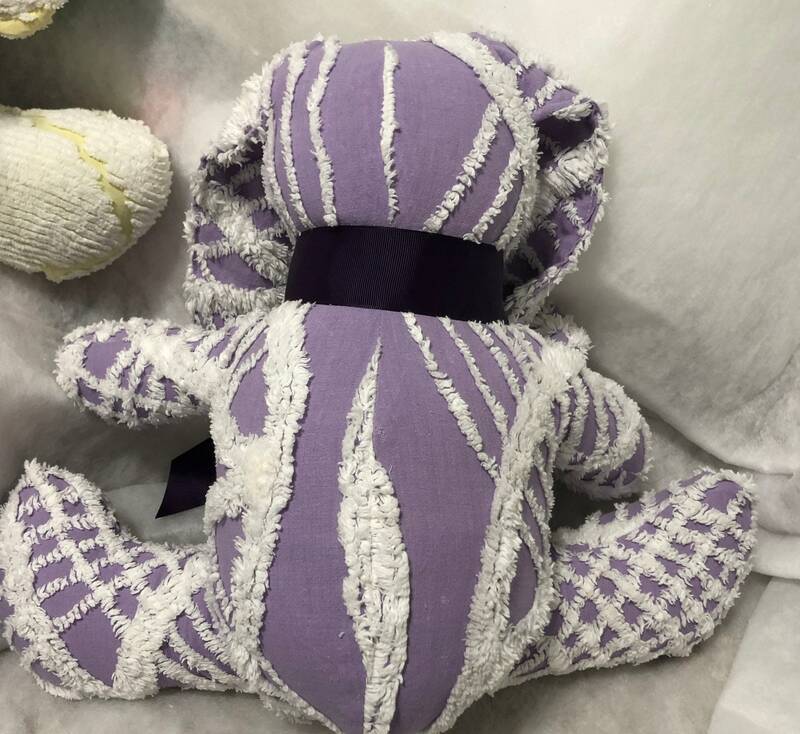 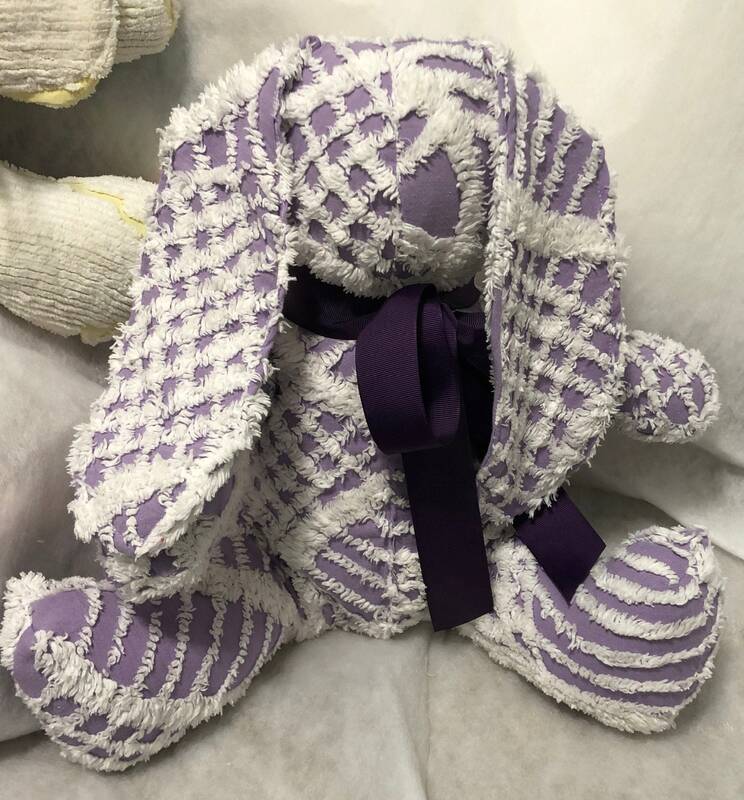 The face is expressive with huggable soft stuffing they are ready for any child to love. 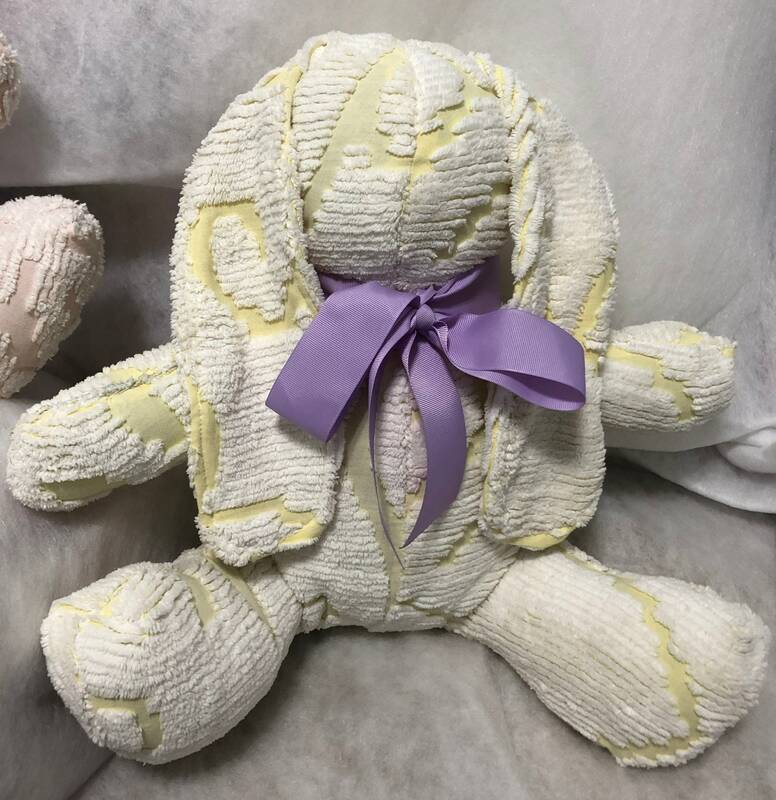 They each have a beautiful grosgrain ribbon tie that can be changed to a color of your choice, if you prefer a different color than pictured just send me a message with your order. 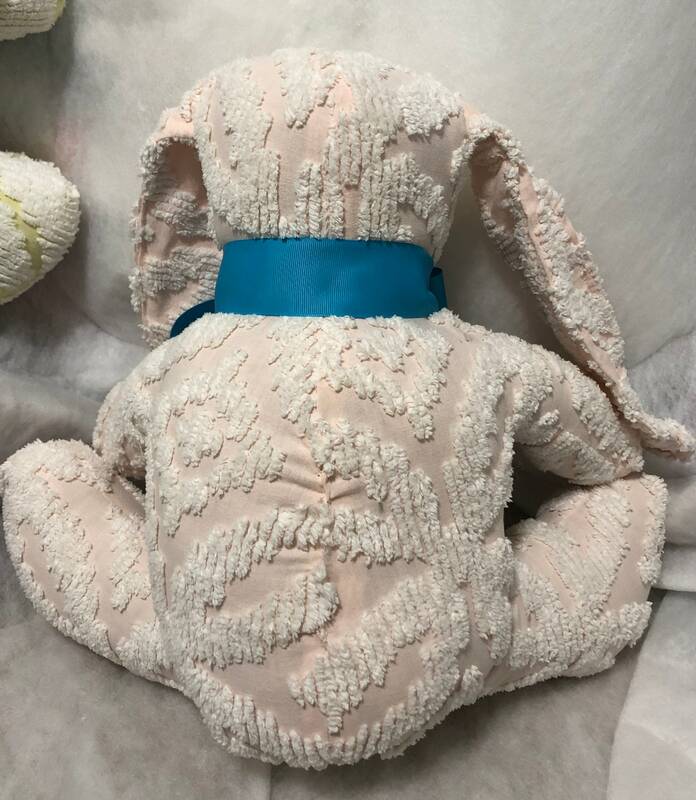 The bunny has long legs and arms that can be moved into huggable positions. 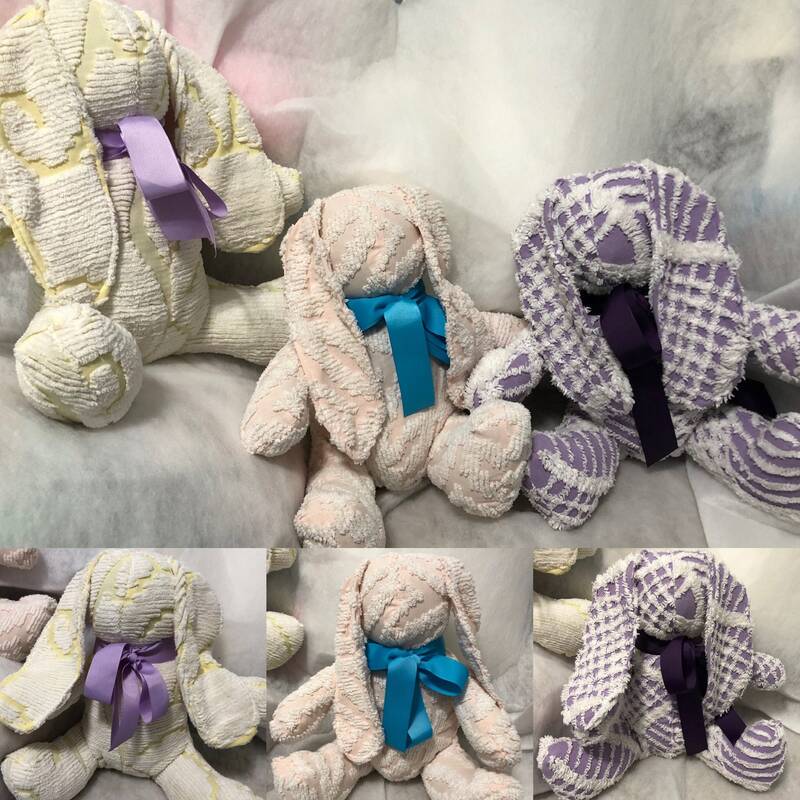 These are not tiny, but at just about 12" the perfect size to snuggle up to in bed at night. 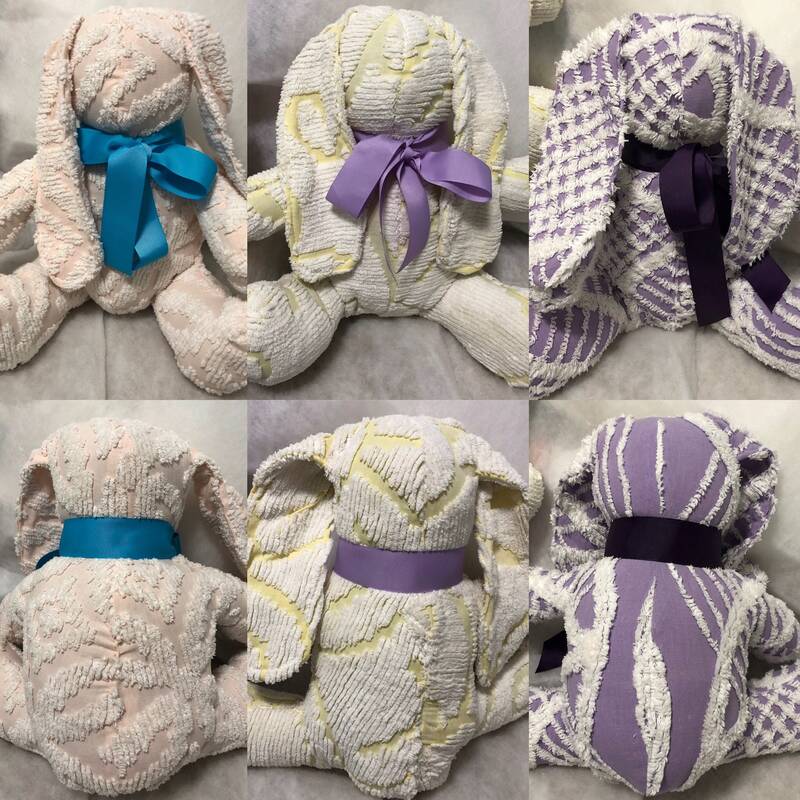 Any of these would make a wonderful companion, for any child to love. 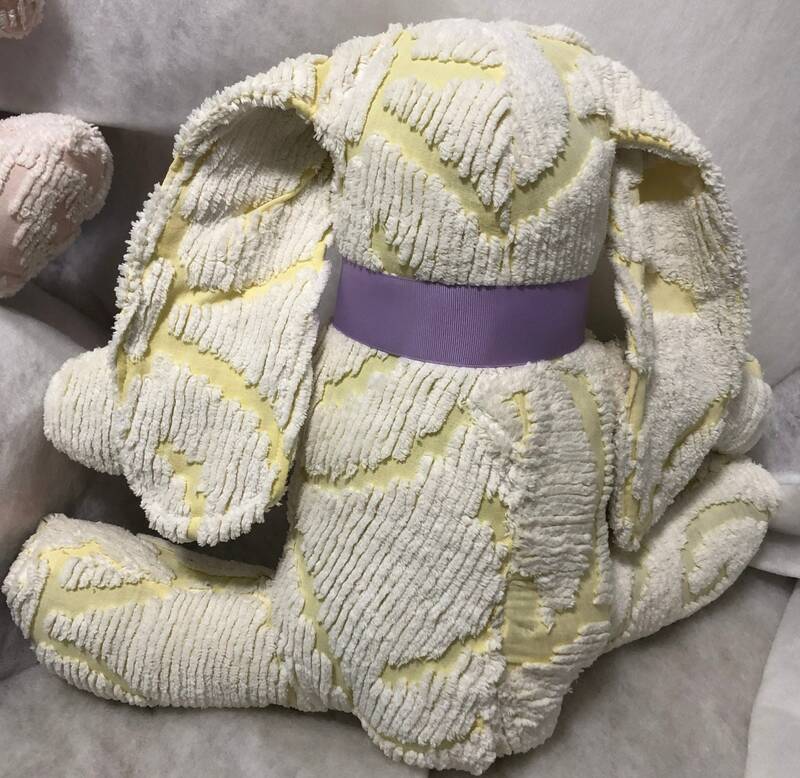 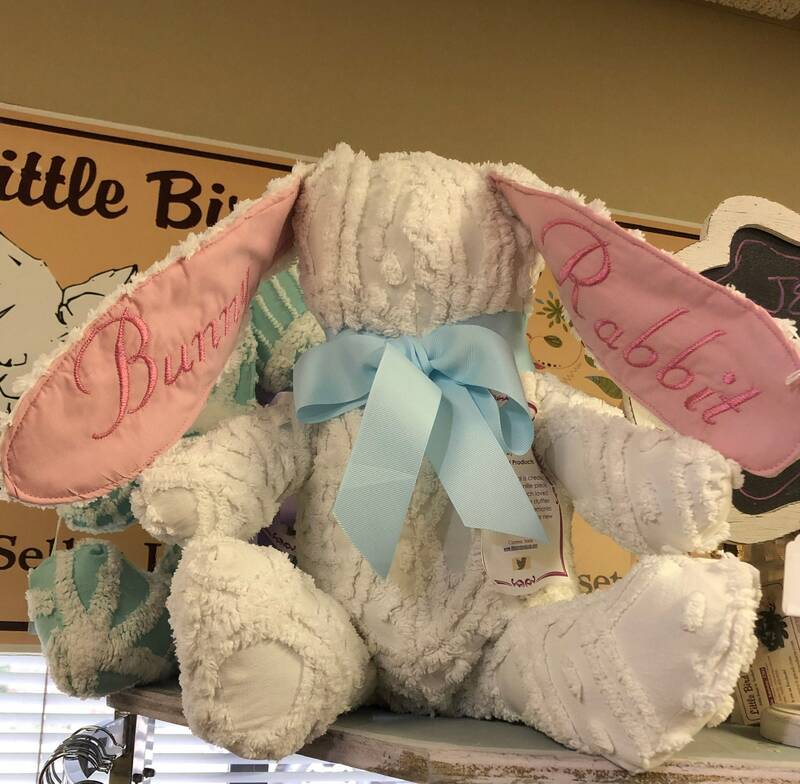 If you would like your child's stuffie to have embroidered with the child’s name on the ear as pictured on the white bunny, just select the item personalization from the store and purchase the service.